According to Scott Bolton, principal investigator of Juno from the Southwest Research Institute in San Antonio the north pole of Jupiter looks like nothing seen or imagined before. It’s bluer in color up there than other parts of the planet, and there are a lot of storms. Clouds have shadows, possibly indicating that the clouds are at a higher altitude than other features. 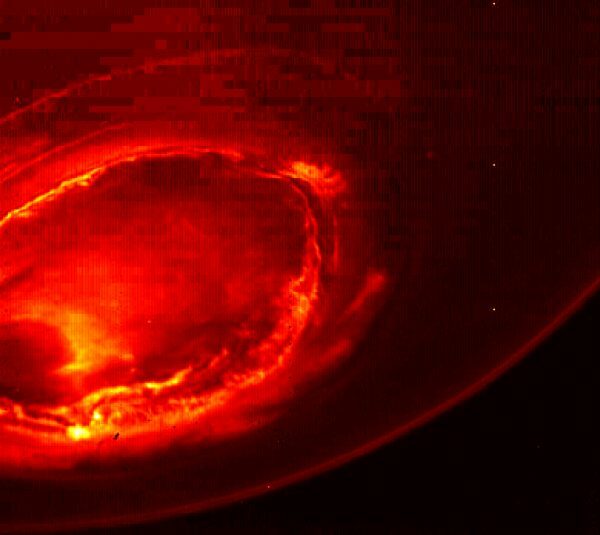 The Jovian Infrared Auroral Mapper (JIRAM), supplied by the Italian Space Agency, gave the first infrared close-ups of the planet. 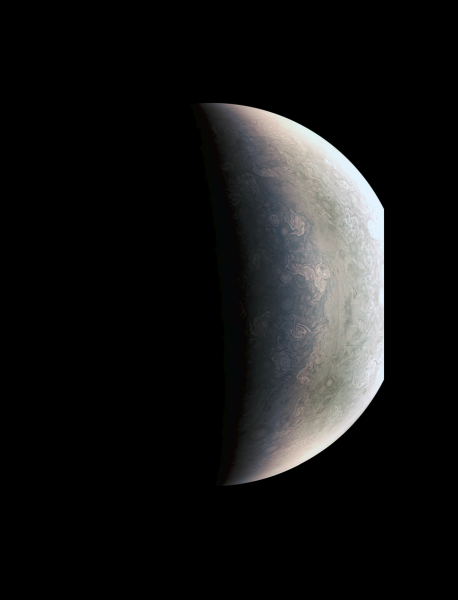 According to Alberto Adriani, JIRAM co-investigator, these first infrared views of Jupiter’s north and south poles are revealing warm and hot spots that have never been seen before. No other instruments, both from Earth or space, have been able to see the southern aurora which appears to be very bright and well-structured. 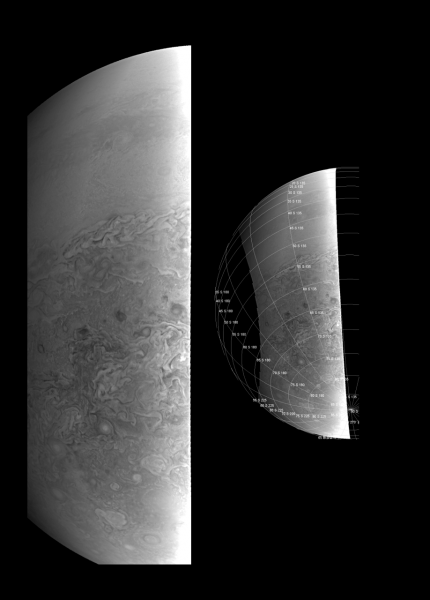 The high level of detail in the images will allow astronomers to better study the aurora’s morphology and dynamics.